As consumers increasingly trust technology – primarily via smartphones – to educate them and drive them to purchase it appears they’re also happy to turn the decision making over to the actual device itself, too. 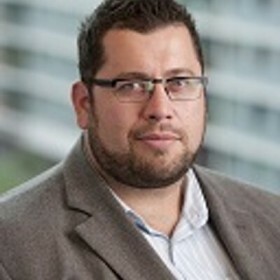 That’s the view of Chris Wallington (pictured below), SMB advertising business lead for Microsoft’s search advertising in Australia and New Zealand. Wallington – a search specialist – says there’s simply so much information online that consumers can be left feeling a little bamboozled by it all. Instead, he says, we time-poor humans increasingly want and trust our devices to cull the stuff we don’t want and recommend choices we do. “We don’t want a barrage of information or a list of links, we expect more from our technology,” Wallington told B&T. He says of our devices, “we don’t want to learn it, we want it to learn us. Where we are, who we are, what we’re thinking, even what we should be thinking. “We want predictive, personal results. The ability of Cortana (Microsoft’s Siri) to learn and understand ‘future intent’ in addition to being an expert in ‘current intent’ and that creates speed and value in our day when completing tasks,” he says. When it comes to search, particularly search on mobiles, Wallington says people want the information quickly and with a minimal of fuss. We’re in our cars, on the bus, already in-store and “30 per cent of smartphone users want to make a purchase within the hour,” he adds. And if you’re in the search business then it’s imperative you offer a ‘click to call’ action. Wallington cites research by global market research firm Ipsos that found 61 per cent of respondents nominated it “as most important in the purchase phase of the shopping process”. And if customers are searching your product or store then there’s a very high chance it will lead to purchase. A 93 per cent chance, Wallington says. “Most purchases still happen in physical stores,” he says, “and increasingly mobile consumers are using their smartphones to facilitate in-store shopping and it’s not as bad a thing as many advertisers had originally feared. “In fact, 80 per cent of those who use their phones in-store also purchase in-store,” Wallington adds.